Three of David Lynch’s least-revived movies will be shown in the upcoming series “Lynchpins,” running October 11 through 26 at the Cleveland Institute of Art Cinematheque, 11141 East Boulevard in University Circle. The three movies (Dune, Twin Peaks: Fire Walk with Me, Lost Highway) are the less-traversed bridges between the well-known high points of Lynch’s filmmaking career (Eraserhead, The Elephant Man, Blue Velvet, Twin Peaks, Wild at Heart, Mulholland Drive). All received mixed to negative reviews when first released, but they are so brilliantly weird, creepy, and idiosyncratic (i.e., Lynchian) that they deserve to be reprised and re-appraised. They tie together one of the most distinctive bodies of work in contemporary cinema. Admission to each film is $9, Cinematheque members $7, age 25 & under $5 (with proof of age). The movies are for adults only. All will be shown in 35mm color prints. All will show in the Cleveland Institute of Art’s Aitken Auditorium. There is free parking for filmgoers in the adjacent CIA lot, located off of East Boulevard. For further information, visit www.cia.edu/cinematheque, call (216) 421-7450, or email: cinema@cia.edu. David Lynch’s third feature (made after Eraserhead and The Elephant Man and just before Blue Velvet) was a 40-million-dollar flop. Kyle MacLachlan, Jack Nance, Patrick Stewart, Sting, Sean Young, Max von Sydow, and many others star in this lavish film version of Frank Herbert’s mammoth sci-fi novel, about the struggle to control a desert planet where an essential spice is mined and giant man-eating sandworms lurk. “Gets under your skin…Unforgettable images and an extraordinary soundtrack.” –Time Out Film Guide. 35mm. 140 min. David Lynch’s prequel to his cult TV series (made after the show was canceled) is one of his darkest, creepiest, and most surreal works. Set in the fictional town of Twin Peaks, Washington, the film depicts the events (including another murder) leading up to the mysterious death of teen Laura Palmer, where the TV series began. Kyle MacLachlan reprises his role as Special Agent Dale Cooper, and the movie boasts mesmerizing sequences, some truly scary moments, a brilliant soundtrack, and a powerful, trance-like pull. With David Bowie, Kiefer Sutherland, Heather Graham, Harry Dean Stanton, and Lynch himself. “A masterpiece.” –Mark Kermode. 35mm. 134 min. David Lynch’s strange, surrealistic nightmare is a neo-noir mystery about an L.A. jazz saxophonist (Bill Pullman) who goes to jail for murdering his wife (Patricia Arquette)—something he doesn’t remember doing, though a mysterious videotape seems to implicate him. But in jail he’s a different person—literally—a mechanic (Balthazar Getty) with connections to a gangster (Robert Loggia) whose mistress (Arquette again) is the spitting image of the murdered wife! This sinister warm-up for the character doubles and doppelgangers in Mulholland Drive and Inland Empire co-stars Gary Busey, Robert Blake, Richard Pryor, and Jack Nance, with music by Trent Reznor. 35mm color & scope print! 134 min. why would anyone want to see these? i don't get the cinametheque sometimes. The Cinematheque is hardly alone in their appreciation of Mr. Lynch. A great many of his films are critical favorites, with 'Mulhooland Drive' (his best, IMO) coming in at number 28 on the most recent 'Sight and Sound' poll of the top 100 films. Personally I've been a fan ever since I watched 'Eraserhead' in my teens, and have continued to find even all his films at the very least interesting, even the ones like 'Inland Empire' that I didn't personally care for. I was only speaking of the ones featured in the retrospective. Why celebrate the least of his work, when he's such a larger body to appreciate? Well, as John Ewing puts it himself in the press release, "[the films] are so brilliantly weird, creepy, and idiosyncratic (i.e., Lynchian) that they deserve to be reprised and re-appraised." I would imagine that the Cedar Lee or Capitol, and probably the CWRU Film Society as well, have shown the more generally accepted classics like 'Eraserhead' and 'Blue Velvet', and will probably show them again. But there aren't too many chances to see these films on the big screen. 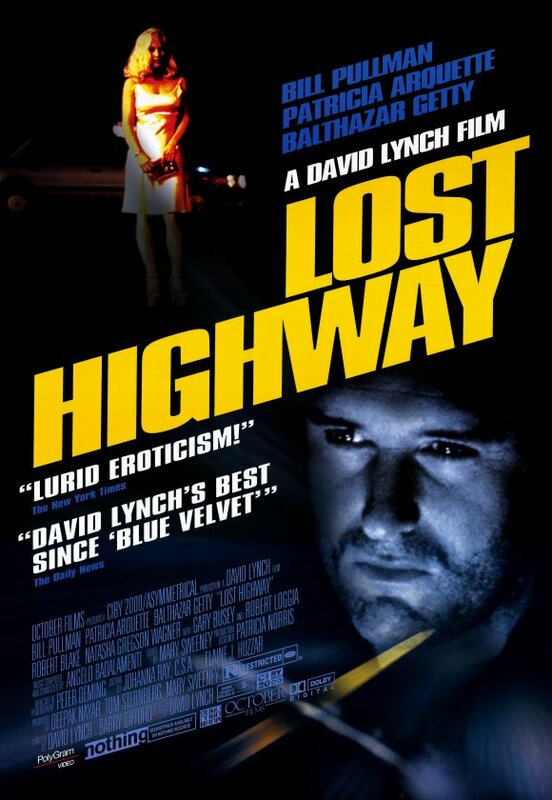 As as for them being the least of Lynch's work, I would definitely disagree with respect to 'Lost Highway', which I think is almost as good as 'Mulholland Drive'. I've never seen 'Dune', and it's been too long since I saw 'Fire Walk With Me' to say how I'd feel about it now. 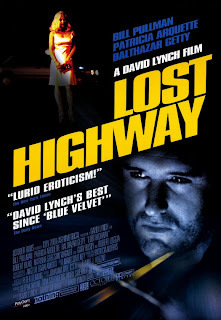 I certainly hope to revisit both 'Lost Highway' and 'Fire Walk With Me' in time write reviews prior to the screenings, and if my life were a little less crazy at the moment, I'd love the chance to see all three of these on a big screen as they were meant to be.